The American Association of Orthodontists recommends visiting the orthodontist around age seven, and Dr. Todd Harmon and our team agree! It’s the ideal age to come to our office because, by that time, most children have a mix of baby teeth and adult teeth, making it easier for Dr. Harmon to diagnose and correct tooth and jaw problems sooner and without surgery. If so, a visit with our Sugar Land orthodontist, Dr. Harmon, can help you understand the treatment options available for your child. What can Dr. Harmon do for your child? There is no standard treatment time for orthodontics, although the general time frame can range from one year to two years. Dr. Harmon specifically designs and customizes a treatment plan for each child. He will carefully evaluate your child's dentition, listen to your requests for end results, and will then determine the best course of treatment based on those criteria, in addition to the position of the teeth and jaw. 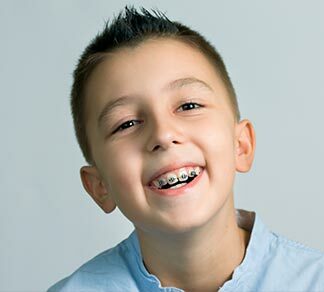 Why choose Dr. Harmon for your child’s orthodontic care? Not only is Dr. Harmon a specialist in the field of orthodontics, he is also a father of six! He understands that each child has a unique personality and deserves to be treated with kindness and compassion. He and all of our staff are considerate, caring, and intuitive to the needs of each child. Sometimes we even get a little creative in order to accomplish treatment, but that's what makes Todd Harmon Orthodontics interesting and fun! 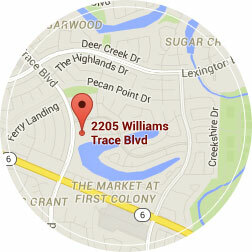 We offer complimentary consultations at our Sugar Land, TX orthodontic office for your convenience. You and your child will be seated in a private consult room where Dr. Harmon will visually evaluate your child's mouth and show you videos or pictures describing the treatment process. Afterwards, our treatment coordinator will visit with you to discuss finances and answer any questions you may have.